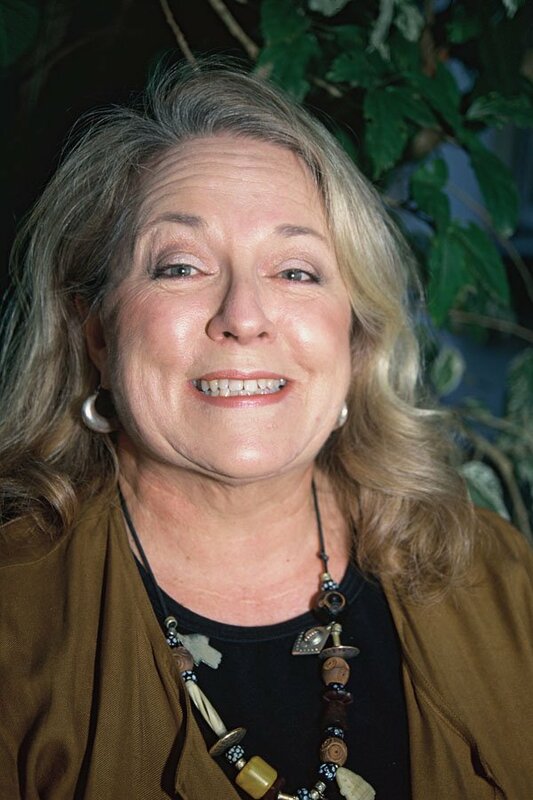 Please help me welcome my friend and fellow QBL instructor Rosalie Dace as May’s guest blogger. I am honored and very pleased that Rosalie was able to find time in her busy travel and teaching schedule to share some personal observations of past and presence as it relates to the evolution in quilt making. Enjoy! What a fascinating topsy-turvey world we live in! Here I am enjoying Anna’s blog where she talks about the arrival of Spring, her packing and upcoming trip to to Winnipeg to be co-judge and workshop leader for Quilt Reflections which will be great. I am also doing the planning and packing for quilt-related travel, and am in a seasonal change, but down here in the southern hemisphere, we are heading into Autumn. The days are shorter and cooler and there is a glorious golden light instead of the harsh brassiness of summer. What a delightful time to be surrounded by quilting paraphenalia as I prepare for my annual visit to the northern hemisphere. I too have been making flight reservations and will fly to JFK via Dubai in a few weeks time, make a short visit to New Zealand from the west coast, fly back to the US, and finally back home to Durban, South Africa, again via Dubai. How different a world it is from that of the quilters who first inspired us. I keep thinking of my grandmother, an avid stitcher and knitter all her life. She would be totally astounded at how we go about our lives today with blogs and flights to unknown places, particularly as quilt makers. Born on the 1st January 1881 during the first Anglo-Boer War in Umzimkulu in a part of South Africa then known as Nomansland, she was a young woman at the turn of the last century. about to embark on her adult life. I have been thinking about the changes she saw as she stitched and knitted for her family and for pleasure, particularly those changes that affected women generally, and her as a wife, mother, and creative needlewoman in a life so different from mine. In 1905, the year she married my grandfather, Einstein’s Theory of Relativity was published, by then Marie Curie had been the first woman awarded the Nobel Prize for her work in isolating radium, the first motor car had arrived in South Africa, Ghandi was living in South Africa, the first flight had taken place (but not to Winnipeg or Dubai! ), the safety razor, the first modern vacuum cleaner, crayons, tea bags and teddy bears had been invented and my grandmother and her sisters had done the Grand Tour of Europe. Soon afterwards came more inventions that could certainly have affected her life, such as Kellog’s cornflakes (1906), color photography (1907) instant coffee (1909) and in 1913 Mary Phelps Jacobs invented the bra, and the modern zipper came into being in 1917. Those bras and zippers were big changes indeed. We find it difficult to imagine our lives without any of those. Of course we know that the quilters of the time were making beautiful quilts mostly in blocks, the simplest and most practical way to stitch fabrics together to create bed covers, warmth and beauty.They often met in groups of supportive women, and stitched their quilts sometimes by machine and frequently by hand, and certainly used scissors and templates. Quilts were generally functional and usually reflected one of a number of traditional patterns. They had closed seams and were washable but each in some way reflected its maker in choice of colour or design. Today we still meet in groups of supportive women and stitch our quilts sometimes by machine and sometimes by hand. So that remains the same in essence. As I consider the changes that my grandmother saw in her life I see that much has not changed, but so much has. We still choose colors and designs that please us but have much more choice. She lived, raised a family and stitched through tumultuous times with two world wars and a depression, wondering, I am sure, what on earth could come next. We have lived through tumultuous and often violent times and wonder what is coming next. In her lifetime inventions came thick and fast including Pyrex, pop-up toasters and Band Aid followed by insulin, penicillin and nylon. In all of this last century of tremendous change, quilters kept stitching, finding new ways to express themselves and showing their work to each other, their families and in quilt competitions. Most notable of these was the Sear’s Exhibit at the Chicago World’s Fair in 1933 where a staggering 24,000 quilts were entered. It is clear, that in spite of the changing world around them, women wanted to sew, either to create beauty, make functional items, win competitions and earn a living. This has continued apace along with further changes like votes for women, and inventions, to name a few, like the electron microscope, the ballpoint pen, kidney dialysis, cortisone, the microwave oven, Velcro, mobile phones, Tupperware, cake mix, credit cards, the Pill, Barbie and the pacemaker. And along with these huge changes in the ’50’s and ’60’s quilters were pretty much making traditional quilts. As I mentioned earlier, they had closed seams and were washable. 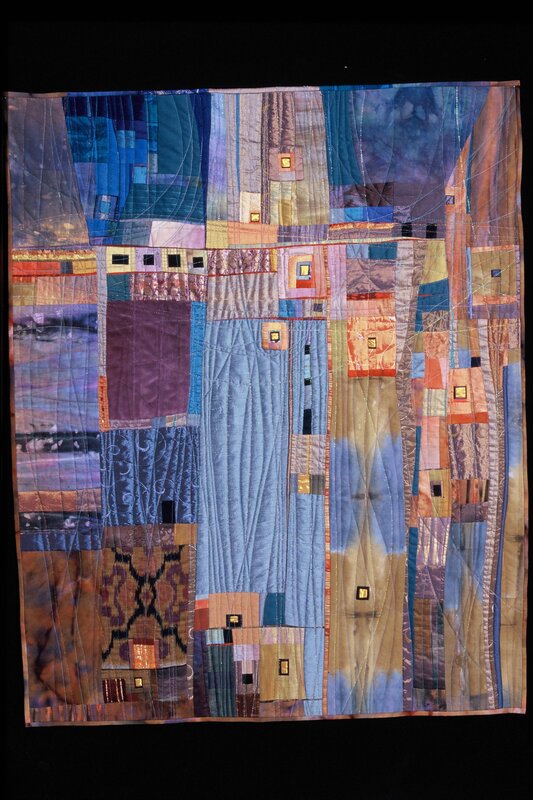 The art quilt is a creative visual work that is layered and stitched or that references this form of stitched layered structure….SAQA sees this revised definition as a visionary statement (that) allows for a broader understanding of the art quilt. The revised definition allows for more 3-D work and work in media other than fiber/textile/fabric/cloth: it allows for techniques and materials not found in traditional quilting. the revised definition allows for framed, unframed, bound and unbound work thereby welcoming growth and development of individual style. As I start getting myself together to begin my teaching and traveling I am excited by the changes in the definition and perception of what quilting is all about, and would love to think my grandmother would embrace it too. I don’t know how much she would embrace today’s airports and traffic, but if it meant going to sew, she would be right there! Happy Spring, Happy Travels and Happy Stitching! 15 May	This entry was published on May 15, 2012 at 5:42 am. It’s filed under Art, Design, Guest Blogger, History and tagged changes over time, History, new definition for the art quilt, QBL, Rosalie Dace, SAQA, women supporting women. Bookmark the permalink. Follow any comments here with the RSS feed for this post. Hi Rosalie. Just yesterday I gave my “Century of Quilts” talk to a local retirees service club. In it I trace the changes in quilting with quilts dating from 1890-2000. Although the viewers recognized and enjoyed the older quilts, it was the later examples, especially the few 21st century ones that I threw in that sparked the most interest. And that’s typical, no matter what group I’m speaking to. The styles and techniques are considered artistic, while the older quilts are just bedclothes. Looking forward to seeing you at QBL. I look forward to exchanging thoughts about those wonderful 21st century quilts that you threw in. Hopefully you will bring some images to QBL that we can enjoy together. It will be good to see you again.